OLD PARKED CARS. 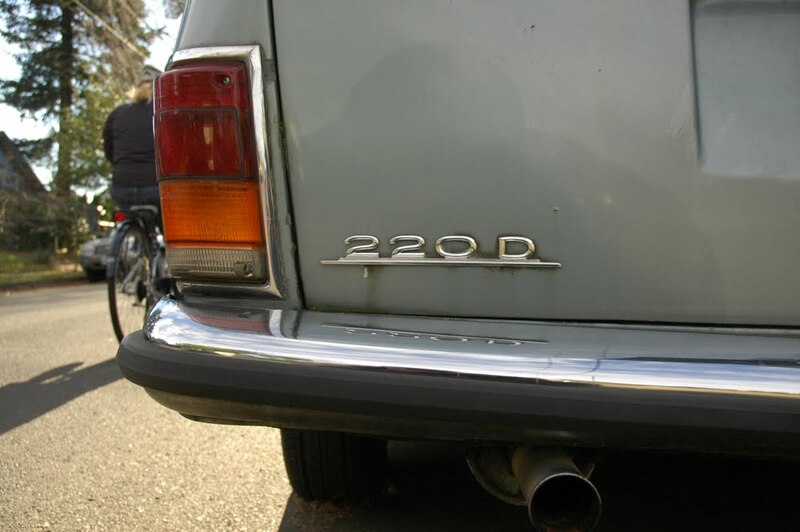 : 1972 Mercedes-Benz 220D Estate. So rare, Wikipedia doesn't even acknowledge it as a production body style. I believe this is 1 of 2 in the USA. How humbling, parked on the street and such. Indeed. She's a beaut. 'Tis a shame they made so little. i doubt it's one of two, but it is approximately one of two visible via google image search. great light, great photographs. that said, the lines seem a little awkward and hearse-like. face is strangely bare, too, without the usual amber rounds or added lights next to the grill. When I first saw this, I definitely thought it was a hearse. I'm trying to figure out why, I think it's mainly the height and color of that roof. It just looks...different. Also that C pillar is right off the sedan, and a lot more sloped than most other wagons. All this results in a taller and more prominent trunk space. One of the only reports I found online was someone talking about theirs being a retired ambulance, which I can see fitting. I really think these were built one off for specific applications. That's the only explanation, because the wagons that came into production in the later 70s are everywhere. Those headlights look so unique from all the Benzes I've seen, and they accompany the wonderful lack of side markers. to me, it's an obvious special import. On a side note. I really wouldn't mind driving a TD Benz wagon. Here in Argentina, during the 70s, Mercedes Benz sells a series of 220D, I don't know if the proper word in english is "wagons". 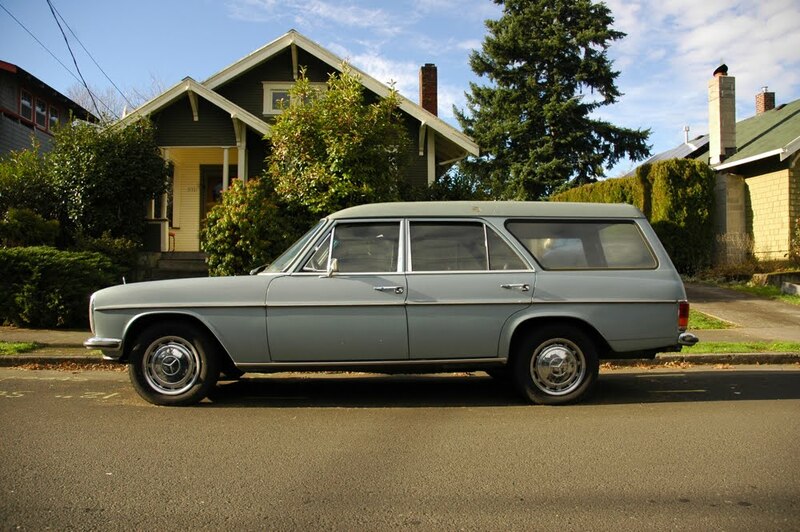 There was a single cabin pickup, a double cabin pickup (the most popular) and an estate. The base was obviusly German, I don't know what work they did here, but I suppose not much. Since imported cars were banned here at that time, this "wagons" were the only legal chance to get a Merc for the people who could afford it (very few). In other words, those Mercs where a status symbol in those years. As you may notice, the roof is different. very beautiful pictures! If the car has a Vinyl roof, then it will be a /8-IMA. Built in Belgium. Here in Germany it gives still approx. 5 piece…. and here a design of IMA. It's a shame the owner is ruining the car with WVO and bumper stickers. This is my car. I wish I didn't have to park it in the street. I was happy to see the pics. I would take better care, but am really struggling with my health. ...just wondering... The autobodymaker of this could also be (karosserie) Binz, where several ambulances and hearses were made. It's rare, allright. My thoughts too, appears to be a former Binz (yup, correct spelling) produced ambulance/estate car from the beginning. 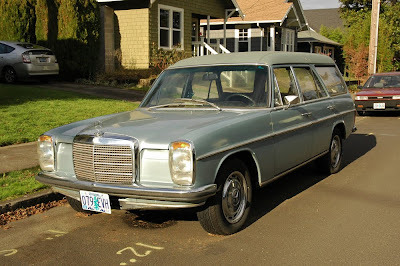 Wikipedia doesn´t mention either that the Mercedes Benz W 115 220 D was manufactured as a light weight PICK UP. It was assembled in the plant that Mercedes Benz of Argentina has still in Buenos Aires between 1971 and 1976. Some aftermarket bodymakers made a station wagon out of the pick up, that is a little different from the one in this photo, but had the same taillights. 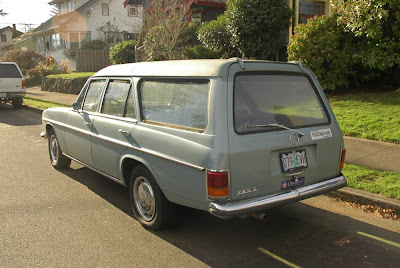 Also, there was a rare "sedan" 4 door without trunk; indeed, it had a small open cargo bay. It was called "twin cab" pick up. For more info, Google images of Mercedes Benz 220 D pick up in Argentina. Saludos para todos!!! Hello.i am in portugal restoring in concurs an w115 station.very good condition..i d ont know much inrernet. How coud i share photos? Email me to. Rukatas@hotmail.com..